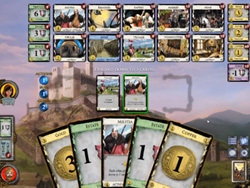 Dominion Online is a digital adaptation of the legendary card game Dominion by Rio Grande Games. There is currently a Steam Greenlight campaign underway to bring the game to that platform for PC and Mac. Additionally a complete re-write of the game utilizing the Unity engine is slated for release in spring 2015. The update to unity will facilitate cross platform multi-player support across all platforms including the current web and Facebook versions, as well as the forthcoming PC and Mac versions (via Steam) and future planned tablet versions. Dominion is considered to be the godfather of "Deck Building" games, who's offspring include amazing games like Ascension and Star Realms. Dominion is credited with inventing or popularizing many of the mechanics which define modern deck building card games, such as players purchasing cards from a shared common row. 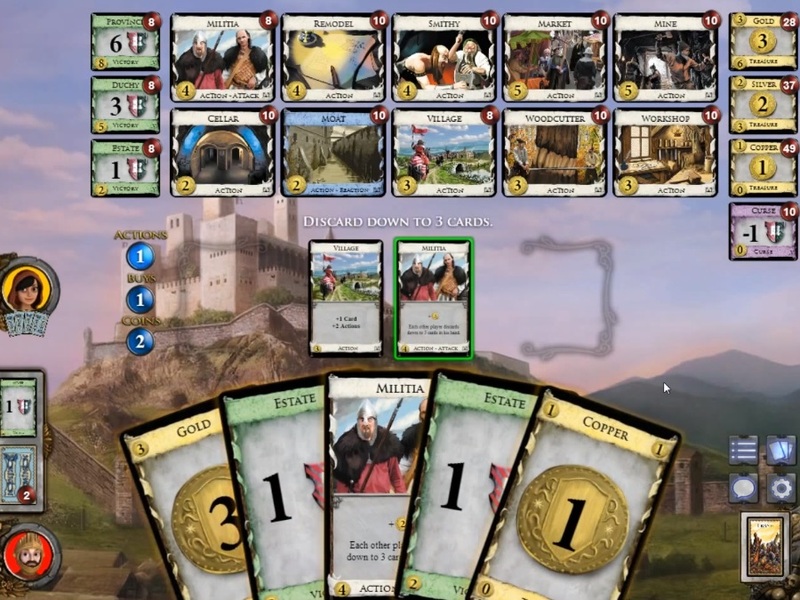 Having been amongst the first in it's genre, Dominion has had much time to mature and grow with several expansions which add a host of new play mechanics and lots of diverse cards which expand replay-ability almost without limits. 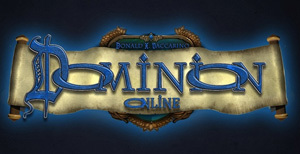 Dominion Online in its current form can be played for free in a browser with the basic set, and the expansions can be purchased for a small fee in game. There are combination and bundle packages available that offer multiple expansions at reduced costs. There is an integrated tutorial as well as single player "adventures" and ai bots to practice against. The game supports 2-4 players, with the limit extending to 6 through expansions.